Two notable emperors were bullish about Istanbul. Napoleon demonstrated his appreciation for the city when he stated that, “If Earth was a single state, its capital would be Constantinople” as Istanbul was called for much of its existence, while Roman emperor Constantine made it the capital of the Roman Empire, choosing it for that role in part because of the city’s location, which sees part of the city in Europe and part in Asia. 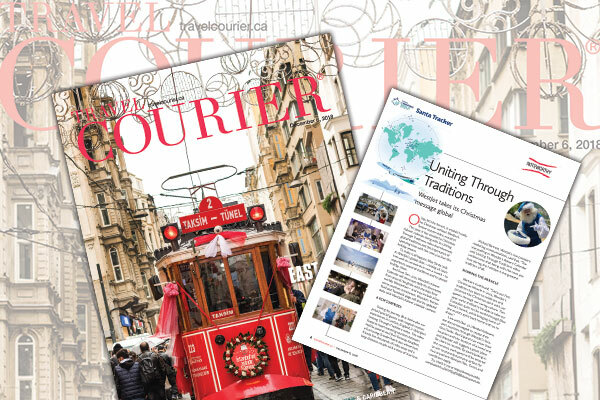 The city long bore Constantine’s name when it was called Constantinople, only to eventually be renamed Istanbul, with Istanbul-based tour guide Hakan Baykara saying Istanbul’s Roman era was a particularly lengthy one, writes Travel Courier’s Ian Stalker in this week’s digital edition. “This was the real Roman capital,” says Baykara, noting it served in that role from 330 to 1453. The city was previously called Byzantium, and historians are quick to note the Romans, Greeks, Persians and the Ottoman Empire are among those who shaped it. Indeed, some of the city’s long history is literally unearthed when major construction projects are undertaken. “They [ancient traders] all crossed here. They [construction crews] dig and they find something [of archeological value]. There are reminders of different civilizations buried on top of each other,” says one Turkish Airlines official. Among still-standing demonstrations of Istanbul’s glorious past is the Blue Mosque, which Baykara notes has more than 18,000 tiles embedded in it, over 200 ground floor windows and six minarets, rather than the usual four found on mosques. The mosque, hugely popular with tourists, continues to hold services. Nearby is the also imposing Hagia Sophia, which began life as a Greek Orthodox Cathedral, later became a mosque and now serves as a museum.